With the First World War ravaging Europe through the heart of the 1910s, no international side had visited the U.S. since the 1911 Corinthians tour. 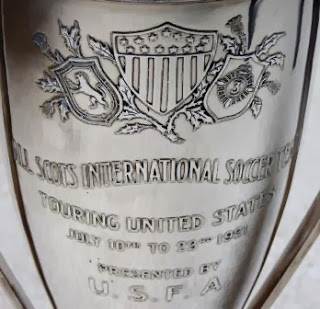 More importantly from a competitive standpoint, the All-Scots tour would be the first ever in the U.S. by a team made up of professional players. 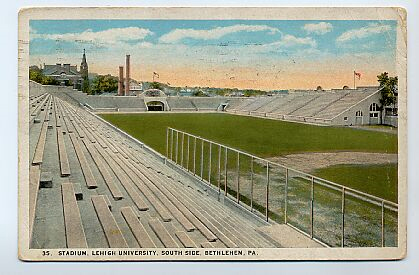 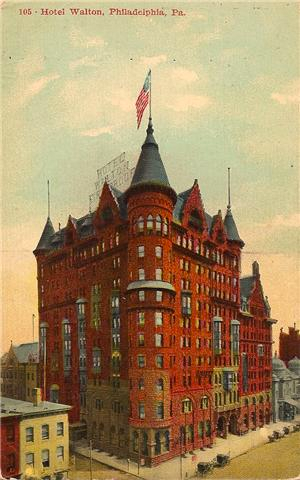 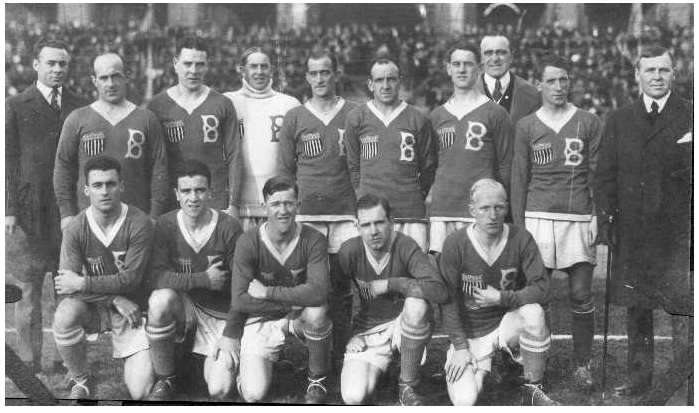 Equally important from an organizational standpoint, it would be the first-ever domestic tour by an international team to take place under the auspices United States Football Association (USFA), known today as the United States Soccer Federation, which had approved the tour at its annual meeting on May 25, 1921, held that year at the Hotel Walton in Philadelphia, located on the southeast corner of Broad Street and Locust Street. 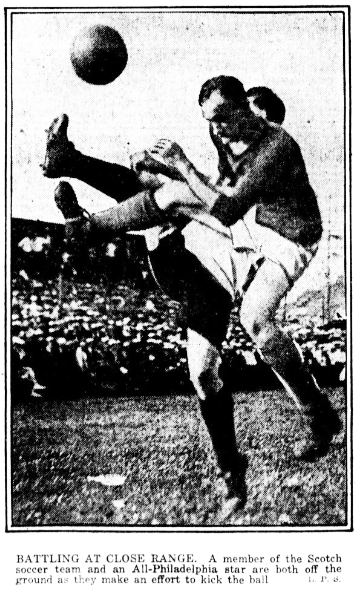 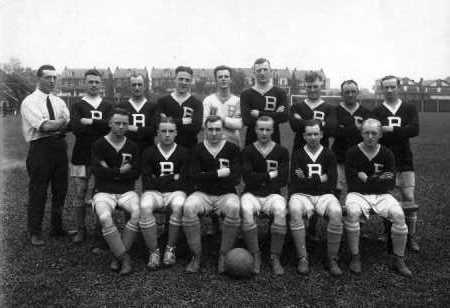 Unlike the All-Scots, who were nearing the end of a long tour together, the All-Philadelphia players were in the middle of their offseason, not to mention a team that, irrespective of the Bethlehem Steel core of players, featured an aggregation of attacking players who had never played together before their game at Disston Park. 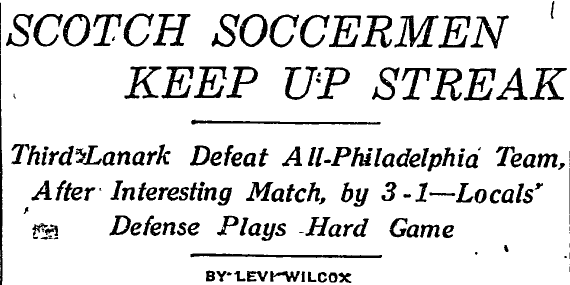 To his credit, Wilcox did not mention this obvious fact. 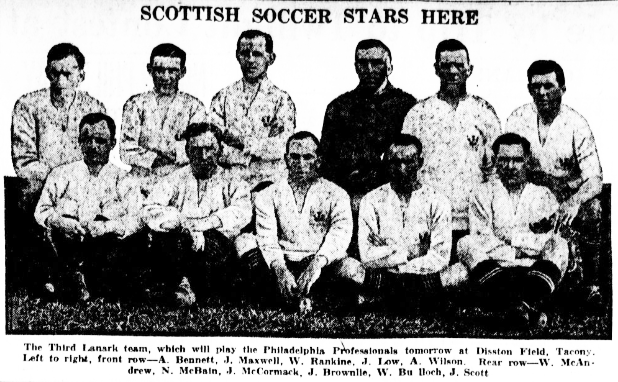 What was more important was getting across the understanding that the All-Scots represented a level of quality not present in the American game. 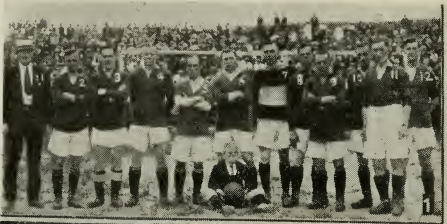 All-Scots team that faced New York FC on July 17, 1921. 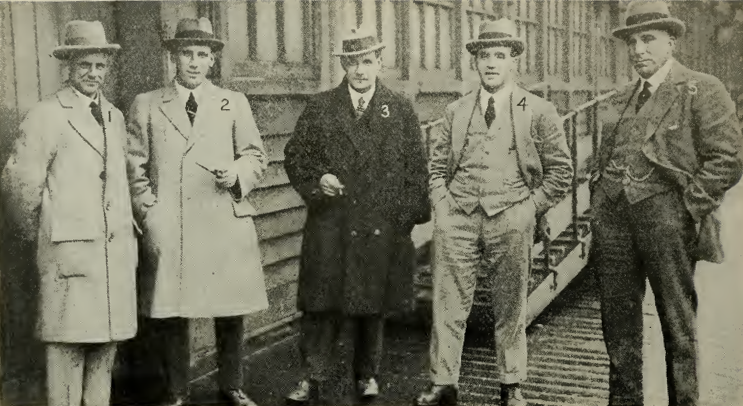 From Spalding’s Official Soccer Football Guide for 1921-1922.